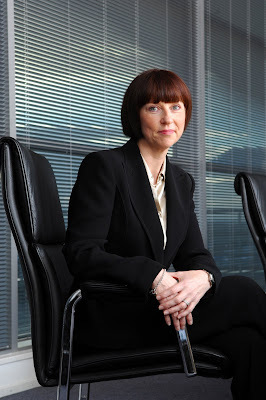 Lena Wilson has been appointed chief executive of Scottish Enterprise, it was announced this week. Ms Wilson (pictured below), who is currently chief operating officer of Scottish Enterprise and chief executive of Scottish Development International, will take up the post on 4 November. Scottish Enterprise chairman Crawford Gillies said: “This is an excellent appointment – both for the organisation and for the Scottish economy. He added: “Lena’s experience of the organisation and her proven track record in delivering fantastic results will ensure Scottish Enterprise continues to make a real difference to the companies we work with, and help grow Scotland’s economy as we prepare to move out of the current recession. In her new role, Ms Wilson will be responsible for the organisation’s 1,100 staff and £250 million budget, which is focused on supporting Scotland’s most ambitious companies and helping to create a positive business environment for those companies to thrive. Talking about her appointment, Lena Wilson said: “Scotland has such an abundance of strengths in areas as diverse as financial services, life sciences, food and drink and energy. One of my priorities will be to identify new ways to unlock that potential so we can deliver more for Scotland’s economy and contribute to the delivery of the Scottish Government’s economic strategy. There are currently 591 Ayrshire business stories permanently archived on this site. To locate those of most interest to you, please use the site search facility in the top left hand corner of this page. Type your search term in the white box, then click “SEARCH BLOG”.